Although the blog generally presents accomplished artists, many times I prefer to publish work of contemporary artists. This is the case of Linnea Strid, a Swedish girl that, in her 20s, is present in many exhibitions across Europe. Strid works expressive portraits and she is particularly interested in the effect of light in moving water. This is why she will include showers, pools and faucets in her paintings. 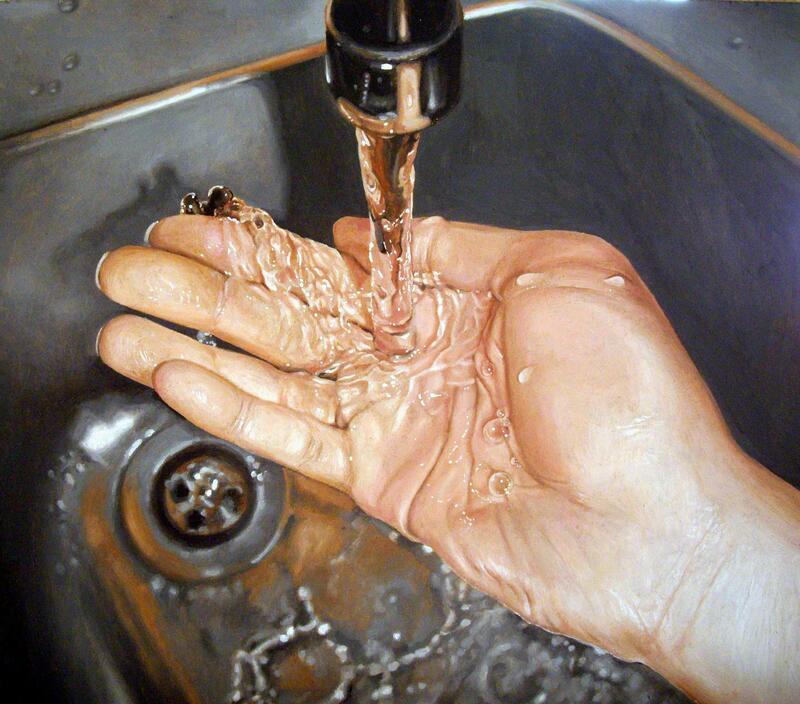 Let it flow was the painting I liked the most because, beyond the incredibly details of the hand and the water, the background with the stainless steel sink is familiar and very known to us. The painting, although complex, is delicate and unpretentious. Despite hyper realism is in fashion right now, Strid brings new themes and approaches to the table. ~ by Álvaro Mazzino on May 19, 2011. We’ve collected the best of the responses below and on the following pages, including Seales initial missives. She does have a point about air mattresses, though. This entry was posted on May 19, 2011 at 10:00 and is filed under Realism.You can follow any responses to this entry through the RSS 2.0 feed.You can leave a response, or trackback from your own site.